Wireless Doorbell systems were introduced sometime in the mid 90’s and make use of radio signals in order to communicate wirelessly through a specified frequency. When choosing a wireless doorbell, we recommend making a list of the features you need the device to have, like the range of coverage, weather resistance, sound quality, ease of use and installation. Perhaps you looking for a higher-end designer door chime? But what am I saying – we’ve already done the legwork for you. So kick off your shoes, put your feet up and save yourself all that hassle and grab the AVANTEK Wireless Doorbell Kit today. It has an operational wireless range of 400 meters or 1,312 feet. It weighs only 9.6 ounces and has dimensions of 8.6 x 9 x 2.6 inches. The volume is adjustable to 5 levels (115 decibels at maximum volume), which includes a silent mode for nighttime or whenever you do not want to be disturbed. It has 52 different melodies, which can be chosen by pressing the next or previous button. The choices vary from classic to exotic, so you will definitely have fun choosing your melody of the day. If there is someone in your household who has a hearing impairment, it can also be programmed to show a visual alert through a flashing LED light. It has a water-resistant transmitter, making it safe for outdoor use. Not to mention the fact that it has a protection rating of IP44 so it can withstand even heavy rains and other extreme weather conditions. It has a 40mm speaker which delivers a crisp and clear sound. It has anti-interference capabilities, thanks to the single code that is built for each unit. With this feature, you no longer have to experience answering an alert that is not intended for you. It has a memory function, so you can preserve the last setting such as the melody and the volume level after an outage or a power interruption. The package includes 2 anchors, 2 screws, a key, and an adhesive tape and a user manual to guide you through the installation and set up. It also works as a paging device at home or as an alert that can be used by the elderly or anyone who is bedridden due to a medical condition. It has a large selection of melodies, including tunes that everyone is familiar with. There is even one for the Christmas season, the classic Jingle Bells. You do not have to be annoyed by any potential interference or phantom call as it has a frequency code unique to each device and will not interfere with other equipment in your home. It consumes just a small amount of energy so you can be sure that it can give you many years of reliable performance. It has a stylish design, which makes it perfect for any modern home. It includes two receivers so that you will no longer miss anyone dropping by. Installation is very easy because there is literally no complicated wiring involved. Choosing among the 52 different chimes can take time since you have to go through all of them by pressing the next or previous button. 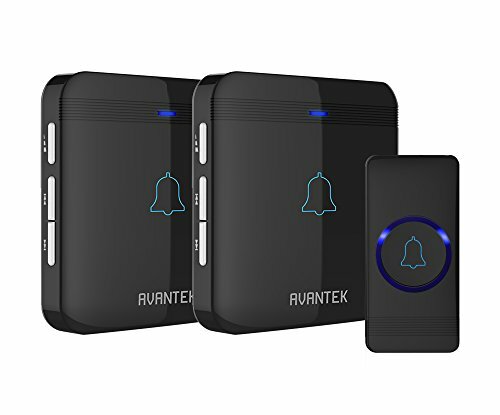 If you want a wireless doorbell that has excellent features at a competitive price, you need to check out the AVANTEK wireless door bell. 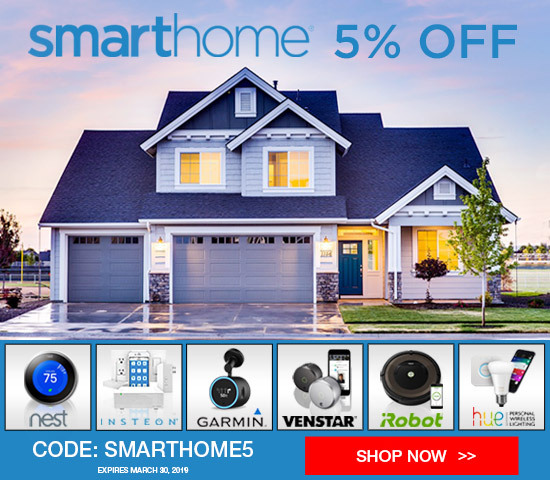 The people behind the brand know what they are doing and this wireless doorbell kit can be considered one of the best in the market, preferred by many homeowners because of its reliability, great looks and full feature set. What makes this particular device our Editorial Team Top Pick, is the unique frequency code feature which prevents interference from other devices, including those of your neighbors – finally no more random rings from your doorbell. Keep in mind, because of its great features, online sellers often run out of stock because of the demand, especially when the device is on sale. Make sure to pick up the AVANTEK Wireless Doorbell Kit if you want something that you can finally rely on. What is the frequency of the door bell push button transmitter, 315? We’ve done some research and a specific frequency or range is not officially published in any literature we can find…but would certainly be interesting and useful to know. This could be due to the unique frequency code feature which prevents interference from other devices – so it’s likely it operates on a range rather than a specific single frequency, but we’d need AVANTEK themselves to chime in *groan! * to confirm if this is the case. So we’ve reached out to their customer support team to see if they can answer your question. Hopefully they’ll respond on your comment here, but if it comes via email instead, we’ll make sure to update it here for anyone else in future looking for the answer to this question. And if you manage to find out the answer meantime, would be great if you could post it here too. Thanks again William and hopefully we’ll get to the answer between us!